John Florian’s online voice over resource Voice-Over Xtra! 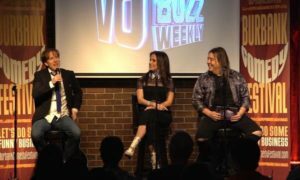 featured Chuck and Stacey of VO Buzz Weekly in a September 2018 article to congratulate them on the show’s 300th Episode milestone. 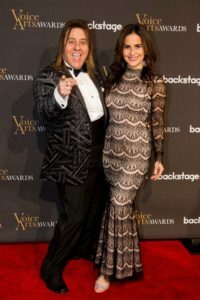 Voice actor and Voice-Over Xtra! 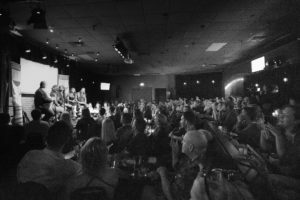 contributor, Martha Kahn attended the Live 300th Show at Flapper’s Comedy Club in August and interviewed the couple afterwards. 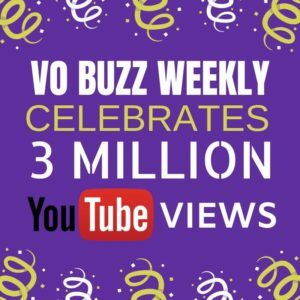 In August 2018, web show producers and hosts, Chuck Duran and Stacey J. Aswad, celebrated a huge milestone with their award-winning web show, VO Buzz Weekly. 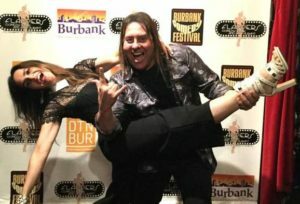 The pair marked their 300th Episode by producing an entertaining live show as part of the Burbank Comedy Festival at Flappers Comedy Club in Burbank, CA. The sold-out crowd came from all over the map to enjoy fun banter and inspiration with Chuck and Stacey, emcee Ken Pringle and the all-star lineup of guests the duo assembled for the evening. 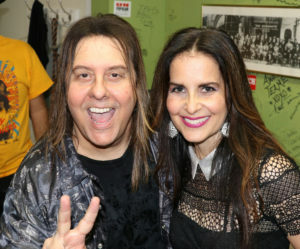 They included Carlos Alazraqui, Vanessa Marshall, James Arnold Taylor, Jim Cummings, an acoustic performance from Rock Sugar band with Chuck Duran being joined by Jess Harnell and Mickey Caputo. The final segment of the show featured the original cast of Animaniacs: Tress MacNeille, Jess Harnell, Maurice LaMarche and Rob Paulsen. It was an unforgettable night, here’s to the next 300 Episodes!